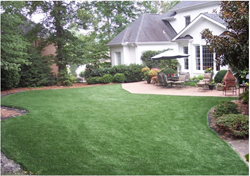 EasyTurf is scheduled to showcase their industry leading synthetic pet turf at the Pasadena Fall Home Show in Pasadena, Calif. Oct. 25, 26. The show will be held at the Pasadena Convention Center and feature home improvement professionals, hundreds of exhibits, free do-it-yourself seminars, and highly qualified exhibitors like EasyTurf. For more information about the show, visit http://www.pasadenahomeshow.com, and for more information about the synthetic turf industry leader, visit http://www.easyturf.com.